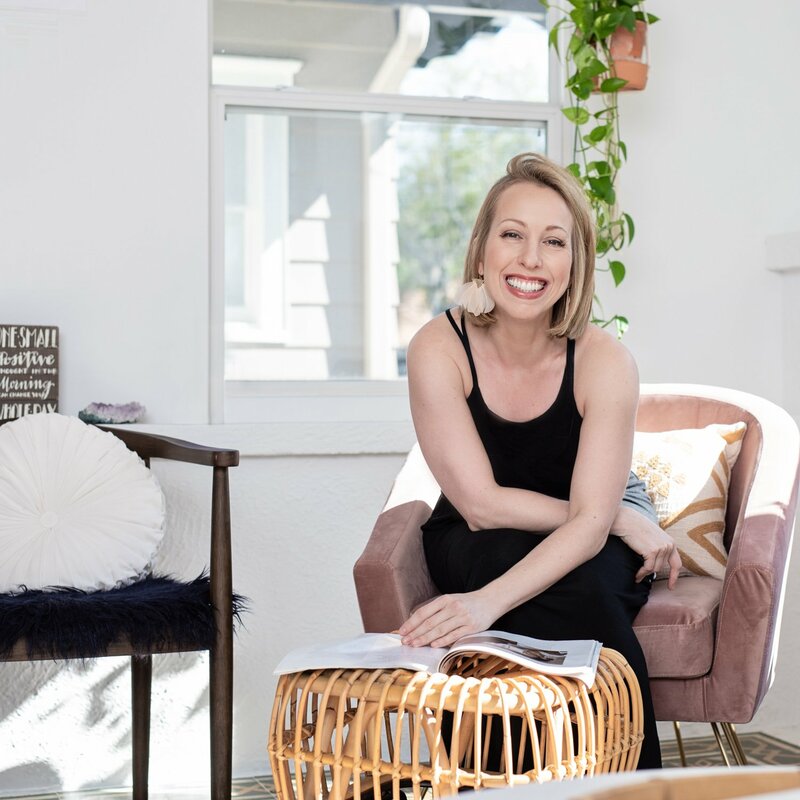 I help women find more love in life, heal after a toxic relationship and reach their true potential with yoga therapy + mindfulness based coaching. Reduce anxiety, C-PTSD and stress, reclaim your self-worth, attract healthy relationships, reconnect with your inner bad*ss, goals that light you up and create a life beyond your wildest dreams. Transform after a toxic relationship, navigate challenging life transitions, manage stress and anxiety and take your life back in a supportive, uplifting community. An introductory, 90-minute session designed to reduce stress, anxiety and support during life transitions. Together we’ll identify initial goal(s) and action step(s) you can take toward healing and creating a life you love. Available in-person if local to the Tampa-St. Petersburg, FL area or via Zoom video conference. 1:1 support for overcoming stress and anxiety as a result of leaving a toxic relationship, life transition or career-related pressure, learning tools for relaxation, improved communication and healthy relationships, overcoming limiting patterns and choosing healthier habits. No prior yoga, flexibility or meditation experience needed. Includes 4, weekly 60-minute sessions. Any woman who seemingly has it all together: career, education, relationships or family but struggles with anxiety, stress or a gnawing feeling something needs to change either with relationships or work but the thought of rocking the boat feels terrifying. Any woman who’s ready to take full responsibility for her inner peace, happiness, direction in life and release the struggle of anxiety, stress, victimhood and self sabotaging behaviors. Any woman who’s left a toxic relationship and ready to break the cycle and attract healthy love. No prior yoga, flexibility or meditation experience needed, however a willingness to “tune in” to your body and intuition and “get out of your head” is required. What if I have ZERO yoga experience and can't meditate? This work is suitable for ANYBODY regardless of shape, size, height or weight. Even if you have a “monkey mind” or consider yourself one of those people who’s easily frustrated by meditation, you can still have incredible insights. That said, this work is best suited for those with a willingness (with a little coaching) to quiet the mind, tune inward to thoughts, intuition and signals from the body. There ARE coaching aspects involved in this work as you increase awareness, identify limiting patterns and choose NEW actions to take each week in order to create or navigate change. This work is a nice compliment alongside traditional psychotherapy but it not intended to replace or mimic professional, clinical mental health treatment. I believe that you already have all the answers you need within. My approach is client-focused, meaning you’re in the driver’s seat of our work together. While I may guide you and make suggestions, ultimately my mission is to help you rediscover, reconnect with and trust your intuition and internal guidance. I use a combination of gentle movement, trauma-informed yoga, meditation, dialogue and mind-body psychology to help you “tune in”, work through “edges” (both physical and mental), identify new life goals and action steps you can take toward creating positive change and living a life you love.